WASHINGTON, Aug. 6, 2013 – Hundreds of thousands of Defense Department civilian employees who have had to take a weekly unpaid day off from work since July 8 are getting some relief, as the total number of furlough days has been reduced from 11 to six, Defense Secretary Chuck Hagel announced today. When I announced my decision on May 14 to impose furloughs of up to 11 days on civilian employees to help close the budget gap caused by sequestration, I also said we would do everything possible to find the money to reduce furlough days for our people. With the end of the fiscal year next month, managers across the DoD are making final decisions necessary to ensure we make the $37 billion spending cuts mandated by sequestration, while also doing everything possible to limit damage to military readiness and our workforce. We are joined in this regard by managers in non-defense agencies who are also working to accommodate sequestration cuts while minimizing mission damage. As part of that effort at the Department of Defense, I am announcing today that, thanks to the DoD’s efforts to identify savings and help from Congress, we will reduce the total numbers of furlough days for DoD civilian employees from 11 to six. When sequestration took effect on March 1, DoD faced shortfalls of more than $30 billion in its budget for day-to-day operating costs because of sequestration and problems with wartime funding. At that point we faced the very real possibility of unpaid furloughs for civilian employees of up to 22 days. As early as January, DoD leaders began making painful and far reaching changes to close this shortfall: civilian hiring freezes, layoffs of temporary workers, significant cuts in facilities maintenance, and more. We also sharply cut training and maintenance. The Air Force stopped flying in many squadrons, the Navy kept ships in port, and the Army cancelled training events. These actions have seriously reduced military readiness. By early May, even after taking these steps, we still faced day-to-day budgetary shortfalls of $11 billion. At that point I decided that cutting any deeper into training and maintenance would jeopardize our core readiness mission and national security, which is why I announced furloughs of 11 days. Hoping to be able to reduce furloughs, we submitted a large reprogramming proposal to Congress in May, asking them to let us move funds from acquisition accounts into day-to-day operating accounts. Congress approved most of this request in late July, and we are working with them to meet remaining needs. We are also experiencing less than expected costs in some areas, such as transportation of equipment out of Afghanistan. Where necessary, we have taken aggressive action to transfer funds among services and agencies. And the furloughs have saved us money. As a result of these management initiatives, reduced costs, and reprogramming from Congress, we have determined that we can make some improvements in training and readiness and still meet the sequestration cuts. The Air Force has begun flying again in key squadrons, the Army has increased funding for organizational training at selected units, and the Navy has restarted some maintenance and ordered deployments that otherwise would not have happened. While we are still depending on furlough savings, we will be able to make up our budgetary shortfall in this fiscal year with fewer furlough days than initially announced. This has been one of the most volatile and uncertain budget cycles the Department of Defense has ever experienced. Our fiscal planning has been conducted under a cloud of uncertainty with the imposition of sequestration and changing rules as Congress made adjustments to our spending authorities. As we look ahead to fiscal year 2014, less than two months away, the Department of Defense still faces major fiscal challenges. If Congress does not change the Budget Control Act, DoD will be forced to cut an additional $52 billion in FY 2014, starting on October 1. This represents 40 percent more than this year’s sequester-mandated cuts of $37 billion. Facing this uncertainty, I cannot be sure what will happen next year, but I want to assure our civilian employees that we will do everything possible to avoid more furloughs. I want to thank our civilian workers for their patience and dedication during these extraordinarily tough times, and for their continued service and devotion to our department and our country. I know how difficult this has been for all of you and your families. Your contribution to national security is invaluable, and I look forward to one day putting this difficult period behind us. Thank you and God Bless you and your families. The Defense Department reduced the number of furlough days for civilian employees from 11 days to 6 days, an Aug. 6 DoD press release says. Due to sequestration, the DoD faced $37 billion in spending cuts. The DoD is also experiencing less than expected costs in some areas, such as transportation of equipment out of Afghanistan, so the agency took action to transfer funds among services and agencies. Originally the DoD projected that it would have to furlough its civilian workers for 22 days. 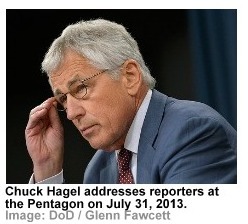 On May 14, Hagel announced that civilian DoD employees would be furloughed 11 days. The DoD cut back on facilities maintenance, worked to shift funds from investment to operations and maintenance accounts and reduced many other non-essential programs to reduce the furlough days, DoD Secretary Chuck Hagel said in a May 14 press release. DoD furloughs began July 8 at a rate of one day per week. The words are flowing. Reactions are starting to trickle in to the research-related portions of President Barack Obama’s 2014 budget request, which was delivered to Congress. ScienceInsider will be tracking what groups are saying as they release statements. Members of the Task Force on American Innovation—a coalition of industry, universities, and scientific societies—believe it is essential that the federal government maintain a robust investment in scientific research. We believe that Congress and the President can and must commit to such spending even as they work to reduce budget deficits. In that context, the Task Force supports President Obama’s proposed increases in funding for the National Science Foundation, the Department of Energy Office of Science, Department of Defense basic research, and the National Institute of Standards and Technology. The federal investment in scientific research is vital to the nation’s long-term economic growth and national security. Indeed, one of the reasons that deficit reduction is so important is to ensure that the government can afford this and other critical investments. We recognize that there are strong differences over how to reduce budget deficits. But we believe there should be bipartisan support for the research that is the foundation of innovation and economic competitiveness. With both the House and Senate having approved budgets, and the President now having submitted his own, we continue to urge the nation’s leaders to come together and negotiate a major long-term budget agreement that not only protects coming generations from unsustainable debt but also ensures our ability to invest in their future. WASHINGTON, April 11, 2013 — The American Chemical Society (ACS) applauds the release of the President’s FY14 budget and his continued recognition of the importance of science and technology as the fuel for economic growth and job creation. The three-part ACS public policy agenda is outlined in U.S. Innovation and Entrepreneurship, and specific policy recommendations are contained in positions on enhancing research and technology development,science education and the empowerment of U.S. businesses. As scientists and engineers, we are confident in recommending that the FY 14 budget should — indeed, must — emphasize innovation. In the last sixty years, more than half of all growth in GDP has directly resulted from scientific research and subsequent commercialization of new products and processes. Our American roots lie in pioneering innovation! This is what we do best. Even after a two-month delay, the President’s budget still gets a failing grade. Filled with new spending and over one trillion dollars in tax increases, his proposal once again fails to balance the budget and continues to borrow 25 cents for every dollar the federal government spends. Hardworking taxpayers are tired of watching the government borrow and spend money it doesn’t have. While getting points for creativity, a proposed NASA mission to ‘lasso’ an asteroid and drag it to the Moon’s orbit will require serious deliberation. Seemingly out of the blue, this mission has never been evaluated or recommended by the scientific community and has not received the scrutiny that a normal program would undergo. The Science Committee will hold hearings in the coming weeks to receive testimony on the President’s budget priorities. The LIVESTRONG Foundation applauds President Obama’s budget proposal to increase funding for lifesaving cancer research at the National Institutes of Health and the National Cancer Institute. We are also encouraged that the Administration, through funding for the Department of State and the U.S. Agency for International Development, continues to make strengthening health systems globally a priority. These essential investments will fuel the discovery of new treatments and cures for the leading cause of death worldwide. The Foundation is pleased the President’s budget aims to significantly reduce smoking’s deadly toll through a 94-cent increase in the federal tax on tobacco products. Tobacco taxes are a proven method of reducing smoking rates, especially among youth, and associated health care costs. With a tobacco tax increase also generating billions of dollars in revenue, it is a win-win for the health and economic vitality of our country. Additionally, the Foundation is encouraged by the Administration’s proposal to put the necessary funding increases in place to support the advancement of electronic health records technology. The LIVESTRONG Foundation advocates for the rights of cancer patients to have the increased control of their records that electronic technology would bring, including the potential to improve and enhance many areas of medical care. Our work is focused solely on addressing the needs of those facing cancer today, improving their quality of life and health outcomes through free support services, programs, tools, resources and advocacy efforts. Since our founding 16 years ago, we have mobilized more than $500 million to help 2.5 million individuals facing cancer. On behalf of the millions living with cancer today, the Foundation looks forward to working with the Administration and Congress to make these budget increases and priorities a reality. President Obama’s Fiscal Year 2014 budget proposal reflects a strong commitment to supporting research at our public universities while also providing financial assistance to help students pay for school. While we continue to review the administration’s budget documents in more detail, the overall figures reflect an understanding that continued investments in basic research and higher education will more than pay for themselves through the innovations and subsequent economic growth they generate. Research at our universities has led to the development of everything from the Internet, GPS and treatments for cancer and other devastating diseases. I greatly appreciate the President’s understanding that despite having more limited funding to allocate, we must continue to devote additional resources to the research that will lead to future economic gains. Investments in student aid and research, the majority of which is conducted at our nation’s universities, did not cause our budget deficits. In fact, those deficits would be even higher had we not made those past investments. Along with other leaders in the research university community, I have repeatedly called for a balanced approach of entitlement reform that yields savings and tax reform that produces new revenue as a path toward reining in budget deficits. While details certainly need to be worked out, the President’s budget proposal provides the framework for such an approach and I hope Congress works with the White House to get a much-needed big deal done this year. APLU has been working very hard to transform STEM education and teacher training through our Science and Mathematics Teacher Imperative (SMTI). We are very pleased to see the President continue his focus on training 100,000 new STEM teachers and producing 1 million new STEM graduates. This effort is incredibly important for increasing science literacy among all Americans and for producing the next generation of researchers and engineers who will discover and develop new technologies that will improve lives and power our economy for decades. In recent years we’ve seen states cut funding for public universities at the same time those schools are taking on additional students, which has furthered the need for federal financial assistance to offset this shift in costs. To that end, I’m pleased that the President maintained investments in the Pell, Work Study, and other student aid programs. We also appreciate that the President’s budget seeks to prevent interest rates on federal student loans from doubling on July 1 as scheduled, and look forward to learning more about how the proposed fixed-variable rate would be funded. 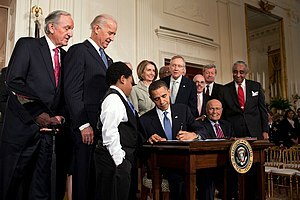 The president’s FY14 budget proposal offers a lifeline for medical research to replace sequestration’s damaging footprints. The budget includes $31.3 billion for the National Institutes of Health, as well as increases for the Food and Drug Administration and National Science Foundation. These increases would take our nation in the right direction, but we’re concerned that budget proposals from Congress—one from each of the House and Senate—unlike the president, fail to reverse sequestration. Sequestration, 10 years of across-the-board spending cuts, will drag our nation down from its leadership position in research and development as other countries aggressively ramp up investments, attracting American businesses and young scientists concerned that federal funding is on the decline, that the U.S. no longer prioritizes research. Our nation has the most sophisticated medical research ecosystem in the world; yet our elected officials have ignored the short- and long-term consequences of dismantling it via sequestration—more deaths from preventable diseases, increased joblessness and soaring health care costs as more Baby boomers become afflicted with Alzheimer’s, cancer, heart disease and other life-threatening, costly illnesses. Policy makers must start acting in the best interests of this nation and tackle tax and entitlement reform to end sequestration. Without bold action by Congress and the administration, our nation’s research enterprise will sputter as other countries fuel their competitive edge. AAU and its member research universities have frequently expressed our view that the nation can and should reduce budget deficits but maintain strong investments in research and education. Such spending is critical to the nation’s long-term economic growth, health, and national security. We are pleased to see this approach reflected in the President’s FY14 budget. The President’s budget offers hope that the nation will continue to make science and education investments a top national priority while taking serious steps to reduce budget deficits. We strongly support the President’s proposals to eliminate the ill-considered across-the-board sequester and to increase funding for the National Institutes of Health, the National Science Foundation, the Department of Energy Office of Science, Department of Defense basic research, the National Endowment for the Humanities, and some key student financial aid programs. While we have concerns about some of the specifics, we also appreciate that the Administration proposes taking steps to address entitlement programs, which are the most serious driver of spending increases, and to raise additional revenues, which also are essential to serious, balanced deficit reduction. We do not agree with everything in this budget. But it is a strong start, and we will work with the Administration and with Republicans and Democrats in Congress to support balanced deficit reduction, elimination of the sequester, and strong and sustained investments in the nation’s future. United for Medical Research applauds President Obama’s proposal to increase funding for the National Institutes of Health (NIH) in FY 2014. As the centerpiece of the medical innovation ecosystem, NIH not only supports the research that leads to treatments and cures for our most devastating diseases, but drives the life sciences economic engine, annually sustaining over 400,000 jobs and nearly $60 billion in economic activity nationwide. The President’s NIH budget proposal is an important step forward in restoring the crippling $1.6 billion cut the agency received as a result of the sequester. We look forward to working with the Administration and Congress in making this increase in NIH funding a reality. Following a decade of decline in purchasing power, even as scientific opportunities have grown exponentially, increasing the NIH budget should be a critical national priority. In these perilous economic times, we cannot afford to underinvest in our nation’s most talented scientists. Their work, undertaken in all 50 states, has enabled the U.S. to lead the world in life science innovation. Every year, NIH research on cancer, heart disease, stroke, and diabetes alone averts up to 1.35 million deaths annually while providing hope to millions of patients and their families. Funding roughly one-third of all U.S. medical research, NIH supports more than 300,000 research positions at over 2,500 research universities and institutions in all 50 states. Talking money. White House science adviser John Holdren (left) discusses the research-related parts of President Barack Obama’s 2014 budget request to Congress at briefing at the Washington, D.C., headquarters of AAAS (publisher ofScienceInsider). 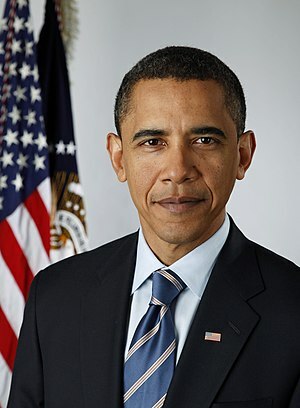 On 10 April, President Barack Obama submitted to Congress his spending plan for the 2014 fiscal year that begins on 1 October. The document can be found at www.fdsys.gov. ScienceInsider is following the story closely, with regular updates on the requests of particular agencies and what those requests say about the president’s vision for science. Plus, reactions from the research community and around the web. A controversial and perpetually troubled laser fusion project would get a hefty funding reduction under the president’s 2014 budget request for the Department of Energy (DOE). The cuts to the National Ignition Facility (NIF) at Lawrence Livermore National Laboratory in California appear to be a direct consequence of the project’s failure to create a burning fusion plasma by its 2012 goal. NIF has long had critics, who contended even before the multibillion-dollar machine was built that it would never work. After numerous delays and cost overruns, NIF finally began operations in 2009, and managers set a 30 September 2012 goal of achieving “ignition” by using its 192 lasers to crush a tiny capsule of hydrogen fuel. But the device fell substantially short of that goal, and late last year officials told Congress that they weren’t sure NIF would ever be able create a burning plasma. NIF advocates have argued that the project, even if it didn’t achieve ignition, is useful for conducting experiments that would help engineers understand and maintain the nation’s stockpile of nuclear weapons. That is now NIF’s focus, although some outside experts and members of Congress are skeptical of that use. They also question the wisdom of giving NIF any more time or money to achieve ignition. The budget request appears to reflect some of that skepticism. 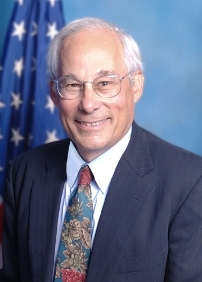 To help pay for maintaining the nuclear stockpile during a time of austerity, “the Budget proposes to achieve savings by reducing investments in the National Ignition Facility, which failed to achieve ignition in 2012 as scheduled, and by implementing several management efficiencies,” it states. In particular, the budget calls for ending NIF accounting practices that allowed Livermore officials to charge some of the project’s costs to other programs—a practice that critics said effectively obscured NIF’s true cost. It’s not clear exactly how big the proposed NIF cuts are, because the project receives funding from several programs within DOE’s National Nuclear Security Administration, which oversees the nation’s nuclear weapons program. A Livermore spokesperson tells ScienceInsider that NIF’s operating budget request is $329 million for 2014, down 20% from 2012. Other NIF-affiliated budget lines also appear to take a hit, but it’s hard to calculate exact numbers, says Marylia Kelley, executive director of Tri-Valley CAREs, a watchdog group in Livermore that has been critical of the laser project. But NIF “is taking a smaller hit that I had anticipated; these are very modest cuts considering NIF’s abject failure to achieve ignition,” she says. Her group wants NIF to be managed by DOE’s Office of Science for civilian research. “We should run it as an unclassified user facility for 5 years, and then do an analysis of what kind of science the nation is getting for its money, and then decide whether to pull the plug,” she says. For the Centers for Disease Control and Prevention (CDC), the 2014 budget request offers a mixed picture. CDC’s budget continues to trend downward, as it has over the last several years. President Barack Obama is requesting $6.6 billion for CDC, a drop of $270 million from 2012. But not every program will suffer: In particular, the administration touted extra money for emerging and zoonotic infectious disease initiatives, with a respectable increase of $70 million to $432 million. Forty million dollars would go to an “Advanced Molecular Detection Initiative,” which aims to do a better and quicker job of detecting and responding to threatening pathogens. An increase of $35 million for injury prevention and control includes money for gun violence prevention research, which was touted by Obama in January. None of these dollars are new, however. “If you’re putting additional money into one category, you’re taking it from the other,” says Richard Hamburg, deputy director of the Trust for America’s Health, an advocacy group in Washington, D.C., that focuses on public health. Losers in CDC’s budget include chronic disease prevention efforts and public health preparedness and response. The preparedness cuts would reduce funding to local and state health departments. In a sense, the mix of increases and cuts suggests tension in how best to allocate resources when it comes to new infectious diseases, such as a novel coronavirus or worrying avian influenza cases in China. On the one hand, says Laura Kahn, an internist at Princeton University who works in public health, we need to quickly be able to identify new viruses and develop vaccines against them. She welcomes CDC’s proposed additional funding for emerging infectious diseases, although wonders how exactly the funds will be allocated. With enough money, many things are possible. That’s the happy position in which the National Science Foundation (NSF) finds itself after the president proposed giving the agency an increase of $741 million in 2014, to $7.62 billion. That amount is 10.8% more than NSF’s current budget of $6.88 billion, although the administration describes it as an 8.4% boost over NSF’s 2012 budget. No matter how it’s painted, the request sets NSF apart from most federal agencies that are being asked to make do with level or reduced funding. The double-digit increase, if endorsed by Congress, would allow NSF to expand activities across the foundation. The request would provide a 9.2% boost over 2012 levels for NSF’s core disciplinary research activities, to $6.21 billion. That includes a doubling of its investment in cyberinfrastructure, to $155 million, reflecting NSF’s lead role in a joint program on Big Data with the National Institutes of Health. The 2014 request would also increase funding for several initiatives begun by Subra Suresh, who stepped down last month as NSF director to become president of Carnegie Mellon University. In particular, the Innovation Corps program to train would-be entrepreneurs would grow in size and geographic scope, and the INSPIRE program would be able to fund more unorthodox approaches to multidisciplinary research questions. A bigger budget would also let NSF start construction of the Large Synoptic Survey Telescope, a $665 million facility in Cerro Pachon, Chile, to which the Department of Energy has committed $160 million. And it would allow NSF to grow its prestigious graduate research fellowship program by one-third, boosting the next class to 2700. In addition to having friends in the White House, NSF received strong support this year from Capitol Hill to lessen the blow of the mandatory, across-the-board 5% sequester that took effect in March at every civilian agency. (National security funding was cut by 7.2%.) Last-minute increases from a Senate funding panel left NSF’s 2013 budget only 2.1%, or $150 million, below its 2012 funding levels. NSF’s operating plan for 2013, which spells out how much money each activity will receive, isn’t due to the White House until 22 April. So NSF officials aren’t able to predict how the sequester would affect the number of grants to be awarded in 2013 and the overall success rate of proposals. But, given the additional funding it has received, the agency’s original projection of 1000 fewer grants and a 3% dip in success rates is almost certainly too pessimistic. The Department of Commerce’s National Institute of Standards and Technology (NIST) was one of the big research winners in today’s 2014 budget request rollout, with the White House requesting a 23%, $177.5 million increase over its 2012 spending, to $928.3 million. Within that total, NIST’s intramural laboratories would get a 21% hike to $754 million. The increases are in line with a 2010 law that endorsed a doubling of NIST’s budget over a decade, but Congress hasn’t always come up with the money to stay on track with that goal. “The FY 2014 budget increases will allow NIST to address high-priority scientific and technical issues that are critical to U.S. economic competitiveness and innovative capacity,” said NIST Director Patrick Gallagher in a statement. In all, he said, the proposal includes some $127 million in new research funding. The administration is also proposing that NIST help coordinate a one-time $1 billion initiative to create a network of up to 15 manufacturing innovation institutes around the country. The National Network of Manufacturing Innovation would join companies, academic institutions, and government agencies in efforts to develop cutting-edge manufacturing technologies. The Obama administration has already set up one pilot center in an effort to demonstrate the value of the idea . The Smithsonian, which is home to 19 museums, a zoo, and six science research centers, would receive $869 million from the federal government under the 2014 request, a $93 million, 12% increase over $776 million in 2013. For 2013, the continuing resolution that Congress approved in March added $5 million dollars to staff the African American museum that is under construction and $2 million for roof repairs from Hurricane Sandy to its 2012 allocation of $810 million. But as part of the sequester, the Smithsonian had to come up with $41 million in cuts to that amount. Those belt-tightening measures included taking all new major science instrumentation projects off the table. But the proposed 2014 budget includes $500,000 to begin to modify a 12-meter radio antenna telescope and move it from Arizona to Greenland. The telescope, which is expected to be operational in 2017, will be used in conjunction with Smithsonian telescopes in Chile and Hawaii to study black holes. Otherwise, any increases for science programs are primarily for covering salary, rent, and other expenses, such as providing parity in salaries for Panamanians working at the Smithsonian Tropical Research Institute in Panama, says Smithsonian senior budget analyst George Thomas. Thus, the big win for Smithsonian science is for STEM education. President Obama’s plan would shift $180 million from 90 STEM programs at 11 agencies to the U.S. Department of Education, the National Science Foundation, and the Smithsonian. The first two agencies would work to improve K-12 and undergraduate and graduate education. With its $25 million, the Smithsonian would improve informal education as it relates to the classroom. “The boundary between informal and formal education is breaking down,” Clough says. The newly named Center for Learning and Digital Access will be expanding its efforts to provide teachers easy access to Smithsonian materials that are geared toward meeting education standards requirements. Already it has a database of 2000 documents, photos, podcasts, videos, and other material, says Michelle Smith, editorial director of the center. Eventually that database will be expanded to include material from all over the federal government. “We would serve as the agent for other agencies,” Clough says. When Clough first came to the Smithsonian in 2008, the Smithsonian was just starting to reach out to students and teachers online and there was not much coordination among its 250 educators. Now the education effort is much more coordinated, Clough says, and he expects that a similar transformation can happen across the federal government. “We can deliver education to anybody in any place at any time,” he says. Asteroids are hot in the president’s 2014 budget for NASA. He wants the space agency to find them, move them, excavate them, and eventually dispatch astronauts to walk on them. If NASA’s budget proposal for the next fiscal year contains one shiny new initiative, it is the science fiction-y plan to capture an approximately 454-tonne asteroid with a giant bag and drag it close to the moon where it can be studied in detail. After it has accomplished that feat, the agency will send astronauts to visit the rock, traveling in an Orion space capsule that is now under development. If the plan succeeds by an anticipated date of 2021, President Barack Obama may be able to tweet out a humble brag that might read thus: #Woohoo! Realized promise made at #KennedySpaceCenter. The promise—made in a speech in April 2010, in which Obama laid out his vision for space—was to land humans on an asteroid by 2025. For 2 years, lawmakers questioned NASA officials on the specifics of how it would be done. Lawmakers have slammed the agency for not having a clear sense of direction. Finally, the agency seems to have come up with an answer that kills both birds with one stone. “This mission raises the bar for human exploration and discovery,” NASA Administrator Charles Bolden said this afternoon in a media telecon about the budget. The idea, which will be kicked off in 2014 with a total funding of $105 million divided between NASA’s exploration, aeronautics, and science directorates, appears to have gained traction after the crash-landing of a meteorite over Russia in February. That event set off frenzied calls from lawmakers that asteroid detection and deflection should be a high priority for NASA. The first step in the proposed capture and maneuver mission would be to find the right-sized asteroid. That’s why the administration wants to double the current level of funding for asteroid detection to $40 million. This piece of the new initiative will likely please lawmakers who have already conducted hearings on what NASA and private companies should be doing to tackle the asteroid threat. The second step of the mission would involve developing new technologies to achieve the task, which dovetails with NASA’s stated goal of inspiring technological breakthroughs. And the final step would involve sending astronauts to the asteroid aboard the Orion space capsule, the development of which is another high priority. In other words, the mission helps tie together several disparate items on NASA’s agenda. The agency has a number of other programs that have to do with asteroids. One is a mission to return a sample from a known carbonaceous asteroid by 2023. That mission, called OSIRIS-REx, is planned for a 2016 launch. It’s no secret that the White House likes competitively awarded, peer-reviewed funding for research. For 2013, the administration asked for a 23% boost to the Agriculture and Food Research Initiative (AFRI) while keeping its requests for other research funding levels at the U.S. Department of Agriculture (USDA) relatively flat. But Congress didn’t deliver, instead keeping AFRI’s budget nearly constant at $266 million. This year, the White House has doubled down and asked for a 44% boost to AFRI over 2013 levels, to $383 million. “Great news!” extolled Karl Glasener, who directs science policy for the American Society of Agronomy, Crop Science Society of America, and Soil Science Society of America. Whether Congress will go along remains to be seen. AFRI is part of the National Institute of Food and Agriculture, USDA’s extramural funding division. Existing programs at AFRI focus on food security, water and nutrient management, nutrition, food safety, biofuels, and climate change. They plan to add programs on agricultural education and outreach. While AFRI would see a big boost relative to its estimated FY 2013 budget, so-called formula funds, which are given to land-grant universities, would decline by 1% to $657 million. As with previous years, the administration is asking for a small increase to R&D at the intramural Agricultural Research Service. As part of its request for a 1.6% increase over 2013 to $1.08 billion, USDA would boost efforts on food safety, human nutrition, and environmental stewardship while decreasing funding for agronomic research. In addition, USDA is asking for $155 million to fully renovate its Southeast Poultry Research Laboratory in Athens, Georgia. The aging facility has a biosafety level 2 lab and three agricultural labs and was identified as the top priority for modernization in a 2012 review of ARS labs. *Correction, 11:30 a.m. on 11 April: The administration is asking for a small increase to R&D at the intramural Agricultural Research Service for a 1.6% increase over 2013, not a 15% increase as originally reported. The president’s fiscal year 2014 budget offers the National Institutes of Health (NIH) only a modest 1.5% increase, to $31.3 billion, over 2012 levels. But that small boost would provide welcome relief from the staggering 5% cut that the agency received this year because of the mandatory across-the-board cuts known as sequestration. “Everything’s relative,” said NIH Director Francis Collins after a press briefing today. “Considering what we’ve been going through in FY ’13, what’s being proposed here is really gratifying.” (Compared with NIH’s final 2013 budget of $29.3 billion, the increase would be 6.8%.) NIH would fund 10,269 new and competing grants, an increase of 351 compared with 2012. The $471 million in new funding includes $40 million for the BRAIN (Brain Research through Advancing Innovative Neurotechnologies) Initiative, a brain mapping project that the administration rolled out last week. (Other agencies are contributing about $70 million.) NIH also wants to spend $41 million on a “Big Data” initiative to improve ways to use and share large datasets, Collins said. Another $32 million would go toward anew program that would to attempt to bring more diversity to the biomedical workforce by encouraging minorities to pursue biomedical research careers. Another favored area is Alzheimer’s research, which would receive $80 million in new grants for drug development at the National Institute on Aging—accounting for the entire increase that the institute is slated to receive. The Cures Acceleration Network, a program aimed at supporting drug development within NIH’s National Center for Advancing Translational Sciences, would receive $50 million, a $40 million increase. Biomedical research groups cautiously praised the increase for NIH. “We don’t want to sound unappreciative, but this continues the pattern of failing to keep pace with inflation” for a decade at NIH, said Dave Moore of the Association of American Medical Colleges. The budget also assumes that Congress finds a way out of the sequestration cuts mandated for the next 10 years, he adds. “It’s a little bit of good news, but I think it’s still very worrisome as to where this is all headed,” Moore said. The U.S. Geological Survey (USGS) patted itself on the back today for a proposed 8% increase in the president’s budget request, compared with its FY 2012-enacted budget. The $98.8 million boost would lift theagency’s budget to about $1.2 billion. “This is a really significant increase,” said acting Director Suzette Kimball in a teleconference. “It’s largely due to USGS being recognized among the large science agencies as part of the larger R&D effort” and not just a mission agency to the Department of the Interior, in which it exists. A request of an 8% increase is exceptional for USGS, which last year was slated for an overall 3% increase in the president’s request. Typically, the agency has seen increases on the order of 1% to 2%. The proposed budget would include a $13 million boost for research on hydraulic fracking, to $18.6 million. It would also raise the funding for stream gages, which monitor water levels and collect other data, by $7.2 million. That would buy about 400 new gages to supplement the existing network of some 3130. USGS has said that the budget cuts known as the sequester threaten the operation of about 350 existing gages. Other proposed increases include a 22% increase for climate change science, to $72 million. A3D-elevation mapping program would get started as well. Research into mineral deposits and the Water Resource Research Institutes would be cut, but details were not immediately available. To sustain an edge in military technology, the White House aims to spend more on key military research programs—particularly fundamental basic research—even as it trims the overall Pentagon budget next year. The plan calls for a total of $526.6 billion in discretionary funding for the U.S. military in 2014, about 0.7% less than in 2012 and 2013. The administration foresees a sharp decline in the account that pays for weapons testing and evaluation, from $72 billion in 2012 to $68 billion next year. At the same time, it gives a boost to the blue-sky innovation agency known as DARPA (Defense Advanced Research Projects Agency); its budget would increase by 1.8%, to $2.9 billion. Funding for basic science and technology accounts would remain steady at around $11.9 billion, with a shift of about $200 million inside this category to emphasize fundamental work—including the kind of research carried out at universities. This is a good sign, says Matthew Owens, an analyst at the Association of American Universities, the lobby for major research institutions based in Washington, D.C. He believes the administration is sticking with a theme articulated by the previous two secretaries of defense—investing in research not just to acquire advanced technology but also to draw talented people into the field of national security. If you don’t have much nice to say, don’t say much. That pretty much sums up the Environmental Protection Agency’s (EPA’s) discussion of research when it rolled out its proposed budget for FY 2014, which includes a cut to the agency’s science program. The request “reflects the Obama Administration’s commitment to drive strong economic growth by supporting innovative research” on pollution, climate change, and clean energy, the agency said in a statement. The agency’s more detailed “EPA Budget in Brief,” released today, stated that the R&D program “leverages expertise” to meet its challenges. The agency overall would see a 4% whack from its funding under the 2013 continuing resolution to $8.2 billion, continuing its slide in recent years. The research program, which was funded at $568 million in FY 2012, would drop by 1.9% from that level in 2014. About $16 million would be taken from the popular STAR fellowships as part of an administration proposal to reorganize STEM programs across the government. Research on drinking water would decline by $2.3 million, endocrine disruptors by $1.2 million, and four other programs by $1 million each. EPA would expand its cooperative research with the U.S. Geological Survey and DOE on the environmental impact of hydraulic fracking, and increase its funding on minimizing chemical hazards by $4.1 million and climate change by $3.2 million. Baseline funding for these programs was not immediately available. Outside the science division, EPA’s Greenhouse Gas Reporting Program would get a $2.4 million boost. And the Air, Climate, and Energy Research program would see a 7.9% increase to $105 million over FY 2012 levels for research on environmental and health impacts from air pollution, climate change, and biofuels. A 13-year-old nanotechnology research initiative would take a cut of $159 million, or 8.5%, to $1.7 billion under the president’s budget request to Congress. The National Nanotechnology Initiative (NNI), launched in 2001, coordinates an array of nanoscale science projects across about 15 federal departments and agencies. In 2013, the Obama administration requested a 4.1% increase for NNI, to $1.77 billion. This year’s budget documents offer no explanation for the turnabout. Historically, about two-thirds of NNI funding has gone to academic research, with the remainder supporting science at government and industry laboratories. The biggest winner would be NASA, which would get a $71 million, 5% increase to $1.49 billion. In contrast, the National Science Foundation would see a decrease of $7 million, or 2.1%, to $326 million. The 13 agencies are part of the U.S. Global Change Research Program (USGCRP), an initiative that cuts across the U.S. government. More details on the USGCRP request can be found on this White House fact sheet. Even more impressive, the Advanced Research Projects Agency-Energy (ARPA-E) would see its budget climb 38% from the 2012 level to $379 million. ARPA-E aims to cherry-pick the most promising ideas from energy-related basic research and quickly develop them into commercially viable technologies. Within the Office of Science, the biggest winner by far is the fusion energy science program, which would see its budget soar 14% to $458 million. Such a boost is desperately needed, researchers say, as the U.S. contributions to the international fusion experiment ITER, under construction in Cadarache, France, threaten to consume much of the United States’ domestic fusion research. Otherwise, the trend toward research that is more applicable to clean energy continues. Funding would increase by 10.3% from the 2012 level to $1.862 billion for the basic energy science program—which funds materials science, condensed matter physics, chemistry, and related fields and runs many of DOE’s x-ray sources and other “user facilities.” Advanced scientific computing research would jump 5.7% to $466 million. Biological and environmental research would edge up 2.6% to $625 million. And nuclear physics would climb 4.2%, to $570 million. In contrast, DOE’s high-energy physics program, which funds work in elementary particle physics, would see its budget fall 1.7% from the 2012 level to $777 million. All of this ignores the effects of the automatic budget cuts known as sequestration, which are required by the Budget Control Act of 2011. Unless it is reversed, sequestration would knock DOE budget levels for 2014 down 7.2%, leaving the Office of Science a net loser instead of a winner. Last year, the White House surprised many by omitting funding for NBAF in its 2013 request. Officials said that they needed to take a fresh look at the project in light of safety and budget concerns, as well as opposition from some well-placed members of Congress. Several generally positive outside reviews conducted by the U.S. National Academies, however, appear to have helped persuade the White House to fully back the effort. There is certain to be congressional opposition to building NBAF. Representatives Tim Bishop (D-NY) and Joe Courtney (D-CT) have vowed to block NBAF funding, saying the money would be better spent upgrading Plum Island in New York. Senator Jon Tester (D-MT) has also expressed concern about NBAF, reflecting fears among the livestock industry that disease could escape from the facility and threaten U.S. livestock herds. The new budget requests $467 million for the directorate’s primary research account, extending the program’s recent rebound. In 2012, Congress slashed that account by 52%, to $265 million, as a result of an unrelated battle over disaster assistance spending and concerns about the program’s effectiveness. If Congress approves the 2014 request, the account would return to 2011 levels. But that number would be more than $130 million below where spending stood in 2010. The administration wants to hold NASA’s overall budget line for 2014 at nearly the same level as what the agency is getting this year. But it wants to make some key changes in how some of that $17.7 billion would be spent. It wants the agency to launch a robotic mission to capture a small asteroid in space and drag it close to the moon. “Astronauts would later visit the asteroid and return samples to Earth,” according to NASA budget highlights posted on the White House’s Web site this morning. The budget provides $78 million to develop technologies for the mission. The budget also provides money for “multiple missions focused on Mars exploration, including a new large rover to be launched in 2020.” NASA has been considering various ideas for exploring Mars after last year’s pullout from the European-led ExoMars program, and sending another rover to the Red Planet seems to be what the administration has settled on. Another key change that the administration wants to make is to shrink the agency’s budget for education and outreach by $47.5 million, which would be redirected to other agencies. “NASA’s assets will be used more effectively through coordination with the National Science Foundation, the Department of Education and the Smithsonian Institution to achieve the Administration’s wider STEM [science, technology, engineering, and mathematics] education goals,” according to the White House’s summary of highlights. President Obama today proposed a significant increase in federal spending on civilian research for 2014. His support for science comes as part of an otherwise flat budget that aims to shrink the federal deficit through clamping down on entitlement programs and raising money by altering the tax code. The president has requested a total of $143 billion in 2014 for research and development. That’s level with current spending and up 1% from 2012. But within that total, civilian research spending would jump by 9% over 2012. The increases for research, if approved by Congress, would allow most research agencies to recover from the cuts to their current budgets under the across-the-board sequester that went into effect last month. But that’s a huge if. And there are also some caveats in what the president has proposed. As in past years, the National Science Foundation (NSF), the Department of Energy’s Office of Science, and the National Institute of Standards and Technology would receive hefty boosts in line with a 2010 law that endorses a doubling of their budgets over a decade. NSF’s budget would jump by 8.4%, for example, to $7.6 billion, and the Office of Science would rise by 5.7%, to $5.1 billion. In contrast, the budget for the National Institutes of Health would inch up by 1.6%, to $31.3 billion. All of those numbers are based on a comparison with 2012 spending levels. That’s because Congress didn’t complete work on the 2013 spending bill until 21 March, too late to be included in the president’s request. The proposed increases would be considerably larger if compared with 2013, because sequestration sliced 5% off every civilian agency’s budget. The president’s budget also fails to take into account how much agencies would lose in 2014 under sequestration, the 2011 budget law that requires across-the-board cuts to lower the federal deficit over the next decade. For 2014, civilian agencies would suffer a cut of 7.9%. But the White House maintains that sequestration is bad policy and has urged Congress to repeal the law. Hence, it is not a factor in the president’s request. As the day goes on, we’ll bring you more details on the president’s science budget. A lot of nerves. President Barack Obama is introduced by Francis Collins, director of the National Institutes of Health, at the BRAIN Initiative event in the East Room of the White House on 2 April. For neuroscientist Rafael Yuste, sitting in an ornate White House chamber yesterday listening to President Barack Obama heap praise—and some $100 million—on a brain-mapping initiative that he helped hatch was a “luminous” experience. “It felt like history,” says the researcher, who works at Columbia University. For all the lofty rhetoric, however, the White House didn’t provide many details about how the BRAIN (Brain Research through Advancing Innovative Neurotechnologies) Initiative will accomplish its mission. And the lack of detail is worrying not only BRAIN skeptics—who argue that it targets the wrong goal and could detract from other research efforts—but also even some staunch advocates such as Yuste. The way that the White House has packaged and plans to fund and coordinate the initiative, they say, is creating some unease. “As the proposal stands, it’s still awfully vague, so it’s hard not to have some reservations,” says biophysicist Jeremy Berg of the University of Pittsburgh in Pennsylvania, who is a former director of the National Institute of General Medical Sciences at the National Institutes of Health (NIH). Several years ago, Yuste and other scientists originally pitched BRAIN to U.S. government officials as the Brain Activity Map, a 10-year, $3 billion effort to develop tools in nanotechnology, optogenetics, and synthetic biology that could measure “every spike from every neuron” in a neural circuit. In a 2012 paper in Neuron, based on meetings organized by the Oxnard, California-based Kavli Foundation, Yuste and colleagues laid out a plan to progress gradually from mapping the brain activity of simple model organisms such as the fruit fly to charting the brains of creatures that contain roughly 1 million neurons, such as the Etruscan shrew. Human applications were couched as the ultimate aim, but not an immediate goal. The initiative will be steered by an NIH-backed working group of 15 neuroscientists, co-chaired by Cornelia Bargmann of Rockefeller University in New York City and William Newsome of Stanford University in Palo Alto, California. Although that group will not release a detailed research spending plan until later this year, BRAIN is expected to put a greater emphasis on human applications than its original planners envisioned, says neuroscientist John Donoghue of Brown University, one of two researchers from the Kavli-led effort that has been named to the BRAIN steering committee (neuroscientist Terrence Sejnowski of the Salk Institute is the other).Human applications and animal research are now being thought of as “a parallel rather than a serial effort,” he says. And NIH Director Francis Collins confirms that human applications will be of great interest: “We don’t want to waste any time moving to science that has direct human applications,” he said during a press teleconference yesterday. Allowing the system to be flexible and adapt over time is crucial, he says. The fact that Bargmann and Newsome are on the advisory group “adds a lot of comfort for me.” While both are “spectacular contributors” to neuroscience, Berg says, they also have a broad view of how to administer both small and large science projects. Still unclear is whether BRAIN’s funding will siphon money from other research efforts and if the $100 million will be followed by further investments in coming years. “My understanding is that it’s coming from new money” not previously allocated to neuroscience research, Donoghue says. Yuste’s initial reaction to the figure was that it was “much too low” to accomplish the project’s original goals. Although there’s no predicting whether Congress will approve the president’s request, “there has historically been and there seems to be today bipartisan interest in this kind of innovative research,” said White House press secretary Jay Carney yesterday during his daily briefing. New York Methodist Hospital-WeillCornell, an 850+ bed tertiary care hospital in Park Slope, Brooklyn. one of 5 prominent hospitals in NY state has an annual Memorial Lecture in recognition of the former Chief of Orthopedic Surgery. The brother of the deceased is the democratic State Senate leader, Sheldon Silver, from the lower east side of Manhattan. He tells the joke about his brother, the doctor, keeping him focused on the health needs of the community. There is the old Yiddish joke about the mother who recieves a call ferom Washington informing her that her son is elected President (of course this Prez must go to bed every night asking, who needs this! The mother responds, “That’s wonderful, but you know his brother is a DOCTOR!” We have something like that with the Chicago Emanuel brothers. If you asked her today, she would say, OY! My son the doctor. We are somehow adapting at the same time we are reacting. This article just appeared in Medscape online. Presidential Election: Healthcare Game Changer or Time-out? Sticking to their party’s game plan to dismantle the Affordable Care Act (ACA) piece by piece, Sen. John Cornyn (R-TX) and Sen. Orrin Hatch (R-UT) Thursday reintroduced a bill to repeal a controversial Medicare cost control mechanism in the law that is widely opposed by organized medicine. The cost control mechanism is the Independent Advisory Payment Board (IPAB). The 15-member board must include physicians, but healthcare providers of any stripe must not constitute the majority of the board. Its mission is to advise Congress on how to curb the per capita growth of Medicare spending if it exceeds growth rate targets set by the law. If Congress does not implement IPAB recommendations, it must either enact legislation that saves just as much or let the Department of Health and Human Services make the cuts. The IPAB, which a reintroduced GOP bill in the House also seeks to repeal, has come under fire from political conservatives and medical societies for offering too much power to a collection of “bureaucrats” who are largely unaccountable to Congress. Critics also warn that it will end up rationing care and subjecting physicians to unfair pay cuts just as Medicare’s sustainable growth rate formula has done. The ACA explicitly prohibits the IPAB from rationing care or recommending any measures that would reduce Medicare eligibility and benefits or increase costs borne by beneficiaries. Supporters say that the IPAB would perform a salutary end-run around a Congress that is under the sway of healthcare industry lobbyists who protect provider reimbursement to the detriment of the public good. The Senate bill to repeal the IPAB has 31 sponsors, all Republican. Even if the bill passed in the Senate with Democratic support and sailed through the Republican-controlled House, President Barack Obama is poised to veto it, according to a previous White House pronouncement. The president has yet to nominate anyone to serve on the IPAB. His appointments under the law require the advice and consent of the Senate. Given that Republicans command enough votes to filibuster any nomination, the IPAB could remain 15 empty chairs, although the president could temporarily fill them through appointments made while the Senate is in recess. In another new attack on the ACA, Rep. Charles Boustany Jr (R-LA) and Rep. Jim Matheson (D-UT) reintroduced a bill today to repeal an excise tax on health insurers in the law that will raise roughly $100 billion in revenue over 10 years. In addition, earlier this month, a bipartisan group of senators introduced legislation to eliminate an ACA tax on medical devices, which some physicians say will boost the price of diagnostic imaging and other medical equipment during a time of declining reimbursement. The Congressional Budget Office estimates that the device tax will bring $30 billion into the federal treasury. Any repeal of tax provisions in the ACA presents a Congress committed to deficit reduction with the thorny problem of offsetting revenue losses with either spending cuts or revenue increases elsewhere in the federal budget.